Stade Francais have turned to Richard Pool-Jones as their new director of rugby. Pool-Jones previously held the position of vice-president at Stade and played an instrumental role in stabilising their precarious financial situation at the end of last season. 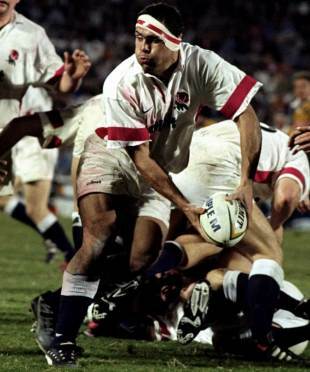 A former flanker, Pool-Jones played for Stade between 1997 and 2002 and also has one England cap to his name. Pool-Jones steps into the void left by the now departed Michael Cheika whose exit was rumoured to have happened last week. With Stade failing to make the Heineken Cup in the past three seasons, Pool-Jones' immediate and vastly complicated brief will be to turn the Parisian side back into their former mould of formidable Top 14 Orange giants. While Pool-Jones' appointment has been confirmed, Stade have not provided any clarification over forwards coach Mario Ledesma and backs coach Christophe Laussucq's future. Ledesma was rumoured to have fallen out with Cheika - amid reports of squad unrest at the former-Leinster coach's methods at Stade - and Midi Olympique have reported that Ledesma has raised the possibility of ending his time at Stade if the new coaching set-up was not to his liking.